We are involved in an ongoing love affair with Tartine Bakery in San Francisco’s Mission District. We’ve stood in the bakery line more times than we can count and never once regretted the time spent contemplating the scrumptious treats awaiting us inside. We couldn’t find a croissant in Paris to best the flaky wonders on offer at Tartine. The pastries, cakes and cookies are irresistible, but the signature tartines, or open-faced sandwiches, truly inspire. The open-faced croque monsieur is a favorite and increasingly popular at home. Preparation requires some thought as to ingredient combinations, but the basics are simple – savory ham and/or seasonal veggies, a thick sauce béchamel and good, flavorful cheese. The bread base of a Tartine Bakery croque monsieur consists of a generous slice of the house plain country loaf. At home, we use our own “no knead” bread and whatever fixings we have on hand. 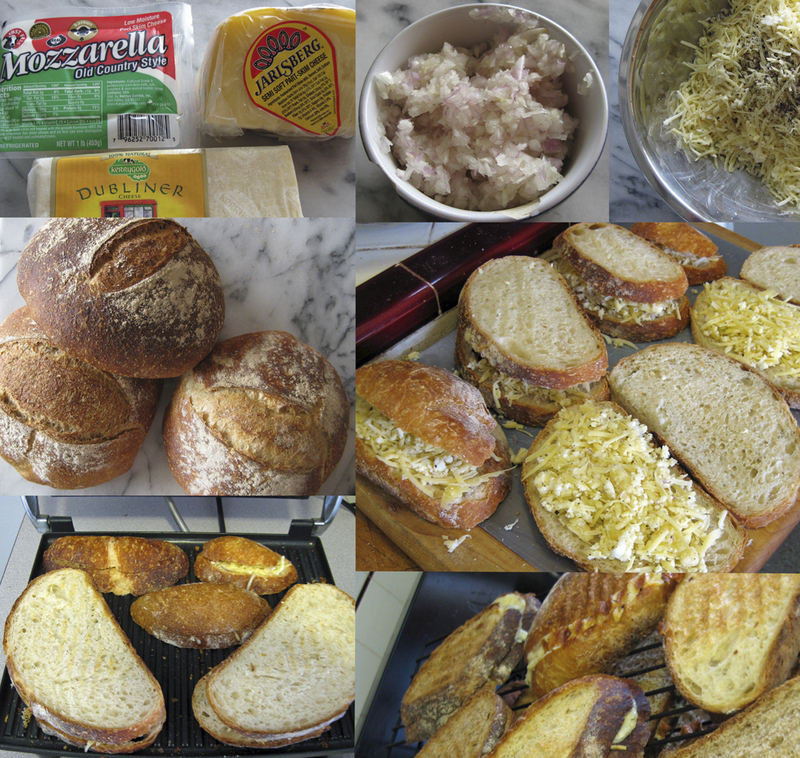 Once assembled, the sandwiches go under the broiler until the sauce and cheese are bubbly and starting to brown. To finish the meal, pair the croque with a simple green salad and a nice glass of wine – a dry Provencal rose or pink sparkling cava does it for us! Warm milk, peppercorns, bay leaf and thyme. In a separate sauce pan, melt butter and add flour, cooking over medium heat until flour has toasted but before it browns. While whisking, strain milk into flour mixture and continue whisking until it begins to thicken. Remove from heat, add grated Parmesan cheese and season with salt to taste. On 2 thick slices of country bread, spread a thin layer of the béchamel, top with ham or your choice of veggies (best if their separately cooked/roasted before going onto the sandwich), then finish with another layer of béchamel and top with grated gruyere or cheddar. Place under the broiler and toast until golden and bubbly.